Here at U.S. Buildings, our steel buildings are manufactured to endure any and all weather conditions. We manufacture all of the buildings to be resistant to the harshest of elements and when it comes to wind and rain our hurricane rated steel buildings are ready for action. Steel buildings from U.S. Buildings meet all wind load requirements throughout the United States, even in the stringent codes of states such as Florida. Whether you need protection from a normal 70 mph gust, or you are in need of protection from the 150mph hurricane winds of Florida, U.S. Buildings’ hurricane rated steel buildings will do the job. We have continually met and exceeded wind codes across the United States, and are the first Steel Arch Building Company to receive the Florida Product Approval. Can a steel arch metal building survive a Cateogry 5 hurricane? 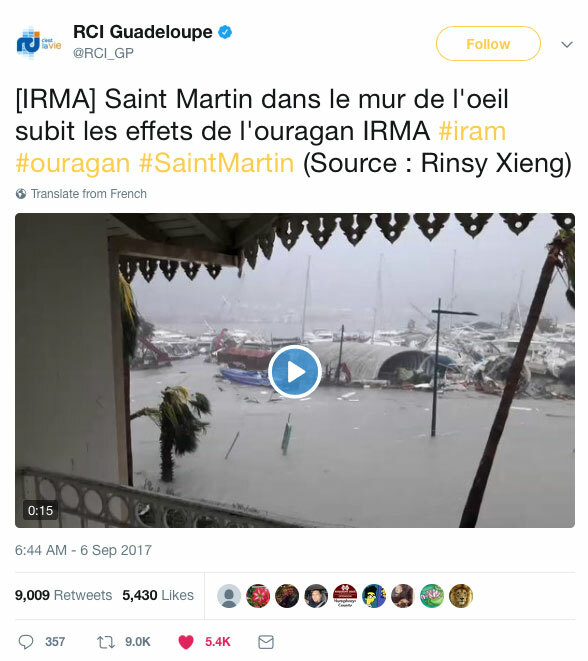 Here's a video from Category 5 Hurricane Irma as it passed St Martin in the Atlantic Caribbean Islands... in this video of the devistation left after the storm, you can see a Steel Arch Metal Building remains strong. This structure didn't even have a steel end wall which would make the structure even more strong and secure. This means the roof and wall system itself was strong enough to withstand 185+ MPH winds blew into the buidling creating lift that would topple other metal building structures or lift them like a kite. Thanks to @RCI_GP for sharing this amazing video of Hurricane Irma. How do our steel buildings stand up to Hurricane weather? We double bolt our buildings with the use of high quality grade 8 bolts hardened to handle 150,000 PSI. Along with our heavy gauge steel construction, we use 9” overlaps at all critical points in the building to make sure that your structure is safe no matter what and our hurricane rated galvalume steel buildings come with a 35 year steel mill backed warrantee so you can rest assured that your building will stand the test of time for years to come. If you are in need of a steel building structure, and you are currently residing in a hurricane zone, our hurricane rated steel buildings are your best option. Setting the standard for safety, we believe that peace of mind should never be secondary. Our hurricane rated steel buildings are guaranteed to be an investment no matter where you live. Don’t let the hurricane winds be a threat to your buildings any longer. If you need any further information, or would like to see some testimonials of previous customers, check out our steel arch metal building photo gallery .